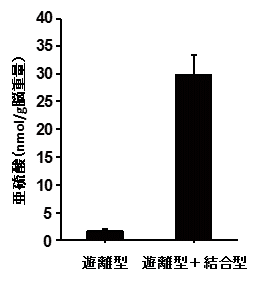 (1) Kimura, Y. and Kimura, H. (2004) Hydrogen sulfide protects neurons from oxidative stress. FASEB J. 18, 1165-1167. (2) Elrod et al. (2007) Hydrogen sulfide attenuates myocardial ischemia-reperfusion injury by preservation of mitochondrial function. Proc. Natl. Acad. Sci. USA. 104, 11560-11565. (3) Wallace and Wang (2015) Hydrogen sulfide-based therapeutics: expoiting a unique but ubiquitous gasotransmitter. Nature Rev. Drug Discovery 14, 329-345. (4) Kimura et al. (2010) Hydrogen sulfide increases glutathione production and suppresses oxidative stress in mitochondria. Antioxid. Redox Signal. 12, 1-13, 2010. 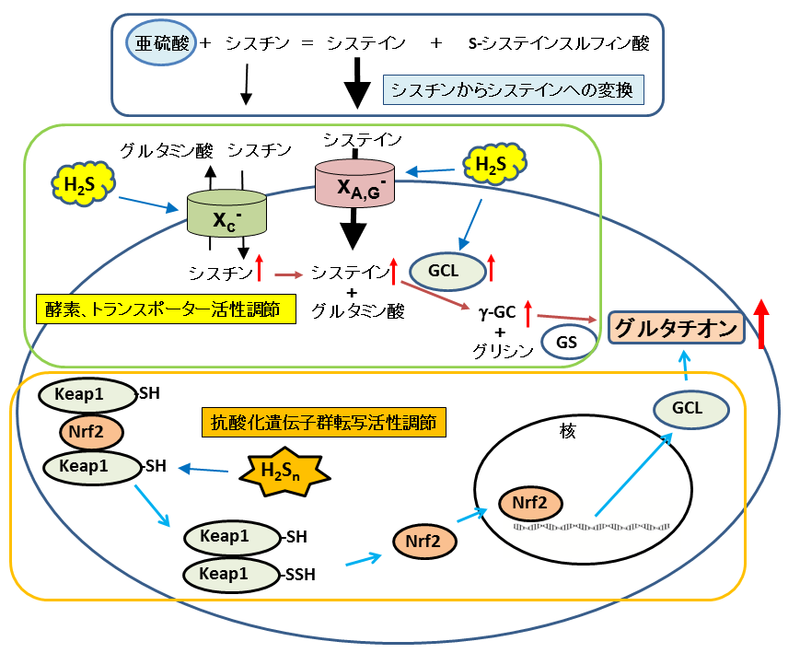 (5) Koike et al. (2013) Polysulfide exerts a protective effect against cytotosxicity caused by t-buthylhydroperoxide through Nrf2 signaling in neuroblastoma cells. FEBS Lett. 587, 3548-3555. (6) Kimura et al. (2015) Identification of H2S3 and H2S produced by 3-mercaptopyruvate sulfurtransferase in the brain. Sci. Rep. 5:14774. (7) Sun et al. 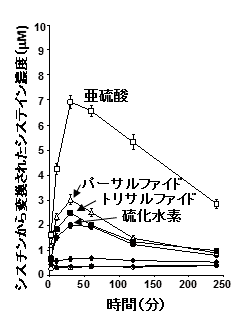 (1990) The protective effect of sulfite on menadione- and diquat-induced cytotoxicity in isolated rat hepatocytes. Pharmacol. Toxicol. 66, 393-398. (8) Gales et al. (2007) Structural basis for the protective role of sulfite against transthyretin amyloid formation. Biochim. Biophys. Acta. 1774, 59-64. (9) Marutani et al. (2015) Thiosulfate mediates cytoprotective effects of hydrogen sulfide against neurnal ischemia. J. Am. Heart Assoc. 4: e002125. 著者： Yuka Kimura, Norihiro Shibuya, Hideo Kimura.